Rugby is similar in some respects to soccer and American football. It is played by two teams of 15 players on a field about 140 m (155 yd) long and 70 m (75 yd) wide, with goal lines 100 m (110 yd) apart and two in-goals (corresponding to football's end zones). The ball may be kicked, carried, or passed (to the sides or rear); tackling is permitted, but blocking is forbidden. Scoring is by touching the ball down in the opponent's in-goal or kicking it over the crossbar between the goal posts. Not at all, With 15 positions, there are opportunities for people of all sizes. As a matter of fact, one of our All-Americans was only 5' 3"! Rugby is a contact sport so everybody can get their share of bumps, bruises, or scrapes during a match - similar to field hockey, lacrosse, or soccer. According to a study entitled "The epidemiology of women's rugby injuries" by the Women's College Hospital Sport Centre for Advanced Research and Education which appeared in The Clinical Journal of Sports Medicine and a study entitled "Knee injuries in women collegiate rugby players" by the American Orthopaedic Rugby Football Association which appeared in The American Journal of Sports Medicine, the incidence of injuries in women's collegiate rugby is comparable with that in other women's contact and collision sports. I am not very athletic, how much time am I going to spend "watching" or can I get cut? Yes! There are over 450 men's collegiate teams and over 350 women's collegiate teams with USA Rugby. Fall practice starts one week after school starts, with games 2 or 3 weeks after school starts. The fall is our Conference's competitve season. The team ends their season with the Conference championship the first weekend in November. Spring practice starts about 2 weeks after school starts, games when the weather permits (usually about early February), ending with the National Championship (first weekend in May). We practice on Monday, Wednesday, and Friday from 4:00 p.m. to 6:00 p.m. Sometimes, if we do not have a match, we will also practice on Saturday. We practice at the Mary Washington Battleground Athletic Complex on the Hanover Rec Field, located in the 1400 block of Hanover St. 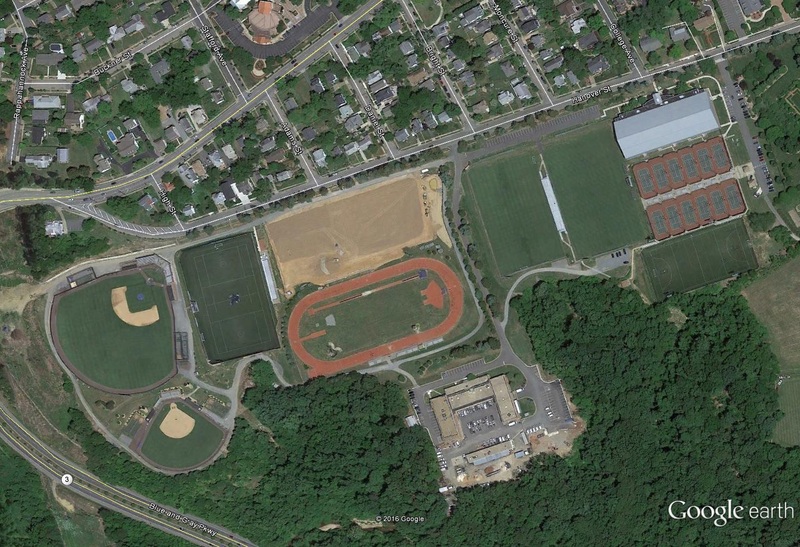 In 2015, the school spent $250,000 renovating the field, CLICK HERE to see Google Map's capture of the renovation or CLICK HERE to read about the renovation. Wear sturdy clothing. Bring a mouth piece if you wear one. Bringing water is reccommended. Make sure all jewelry is removed and your finger nails are cut. In the cold weather dress in layers. -Registration with USA Rugby, $45 per academic year, Sep 1 - Aug 31. Although rugby currently falls under the Mary Washington Athletic Department - we are NOT a Varsity program. Rugby at Mary Washington is considered a Team Sport. The team is given a budget every year, however the budget does not cover all costs incurred by the team (referees, tournament fees, travel expenses, etc). So what does it mean to be a "Team Sport"? In 2013, the school decided to give additional recognition to the rugby programs at Mary Washington. The concept of a Team Sport is based upon a model by Penn State University. That is, recognition above a "Club Sport", but not the recognition of a Varsity program. CLICK HERE to see the announcement of our move to the UMW Athletic Department. The first year we were given an increase in our budget and access to the Athletic Training Room. Additionally, we were given a dedicated weight trainer for 2 one hour sessions a week. In 2014 our field assignments were raised in priority. That is, in inclement weather, we have access to the turf fields that Athetics uses. In 2015, by moving under the Mary Washington Athletic Department, men's rugby, women's rugby, and rowing was provided with a part-time trainer. Additionally, Mary Washington provided a small stipend to the coach of men's rugby, women's rugby, and rowing. In doing so, the coaches on the programs became "Staff" of Mary Washington. CLICK HERE to see each program's point of contact. As Mary Washington embraces rugby at Mary Washington, we know the programs will continue to grow in the future! Then, you will be in the same boat as more than 95% of all our players. We teach you everything you need to know. As rugby in the US is beginning to spread into high schools, we see players every year that have high school experience. However, in the last several years, we consider ourselves fortunate if we have 2 or 3 players with experience prior to college. Have you played many teams? How has the team done in the past? To answer this question, you need to understand a little about the history of the women's collegiate competitive structure within USA Rugby. In 1985, when the team was formed, USA Rugby consisted of 4 Territorial Unions (TUs)-East, Midwest, Pacific Coast, and West. Each TU was subdivided, containing one or more Local Area Unions (LAUs). The LAU that Mary Washington played in was called the Virginia Rugby Union (VRU). There was no Div I or Div II, everybody played everybody. In the mid 90s, the TUs began to subdivide. What eventually formed were 7 TUs-Mid-Atlantic, Midwest, Northeast, Pacific, Southern Cal, USA Rugby South, and West. In 1995, the VRU joined the TU the Mid-Atlantic Rugby Football Union (MARFU). In 1998, USA Rugby recognized the split in women's collegiate rugby into Division I and Divison II. Mary Washington was put into Div II. In 2000, USA Rugby began to recognize a Women's Collegiate National Division II Championship. In 2013, USA Rugby disolved the TU/LAU structure and created "Conferences". In 2014, USA Rugby began declaring a Women's Collegiate DII "Fall Champion" and a "Spring Champion", with the two facing each other for the Women's Collegiate National Champion title. The following table lists when Mary Washington has finished within the top 4 within their immediate competitive structure (i.e LAU or Conference). Additionally, the table lists finishes for all post season play.